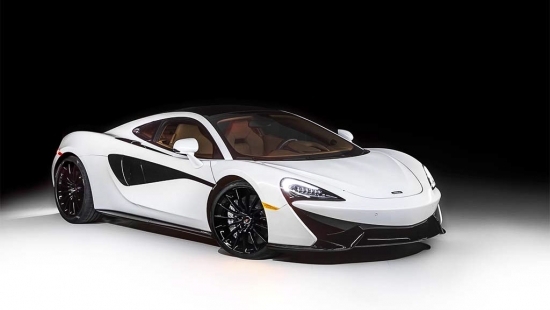 McLaren uses plenty of carbon fiber in the construction of their vehicles, except its usually hidden, or painted over, unless its inside the cabin. Now the company has created what might be their ultimate vehicle, the 675LT Carbon Fiber Series which puts the carbon fiber material front and center. With the Carbon Fiber Series LT, McLaren made 40% more of the body panels on the 675LT in carbon fiber and left them unpainted and exposed. Every where you look you see the light weight material. From the front to the back, to the little details like the fuel filler cap are all carbon fiber. Some may think its carbon fiber over load, but the reality is McLaren did a superb job at making sure it’s not over the top. 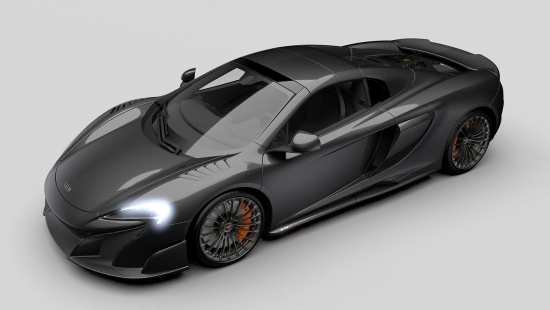 The 675LT Carbon Fiber Series continues to be powered by the 3.8L twin turbo V8 that pumps out a devilish 666hp. At only 25 being produced, each unit already has a buyer lined up. Carbon fiber is a super light weight material that’s as light as a feather but as strong or stronger than steel. 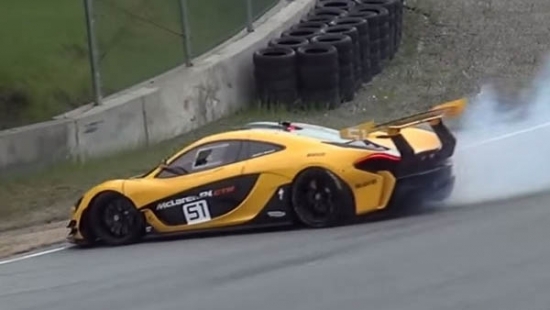 But its still no match for a trunk of a tree as a new owner of a McLaren 650S recently found out the hard way. The owner took delivery of his brand new super car, and not 10 minutes later introduced it to the local trunk. 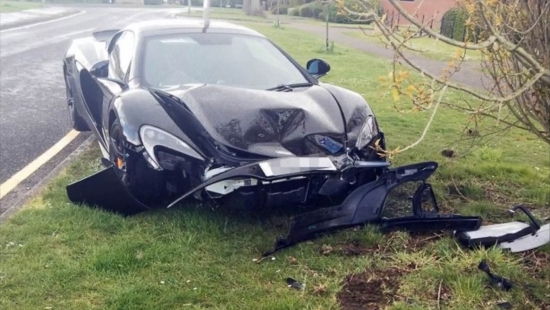 The McLaren was spotted with its entire front end shattered to pieces after colliding with the tree. It should go without saying that poor control of a 641 horsepower car and a heavy right foot is probably a poor combination of things to happen. What more, when the car can accelerate from 0-100km/h in just 3 seconds, drivers really don’t have that much time to react when they don’t know what they are doing. 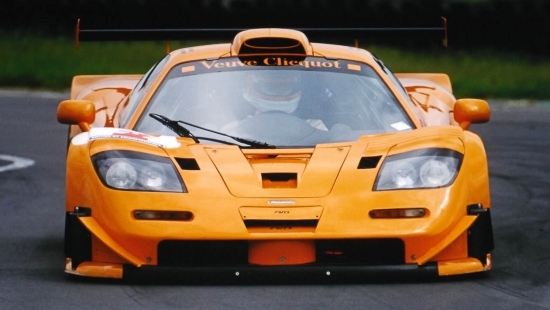 McLaren Special Operations Heritage Division is selling McLaren F1 number 69, one of the last production cars back in 1998, and it has only covered 2,800 miles. 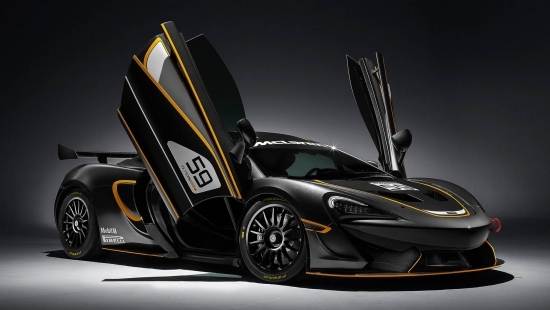 Chassis number 69 is the 60th McLaren to be built by McLaren and the car was ordered with a specific look in mind. 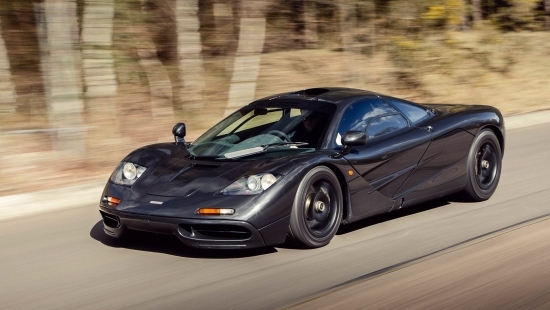 With the design of the McLaren F1 striking at every heartstring of a car enthusiast, number 69 pushes the visual boundaries one further by being an all Carbon Black car with matching black magnesium 17 inch wheels. The interior has also been wrapped in black leather throughout with red accents. Number 69 will come with it’s factory bespoke luggage, specially designed titanium toolkit and box, and a numbered Tag Heuer watch which every McLaren owner received one when they took delivery of their F1. This car is truly a one of a kind in every way imaginable. And being for sale, it’s just waiting for the next lucky person to call it theirs. 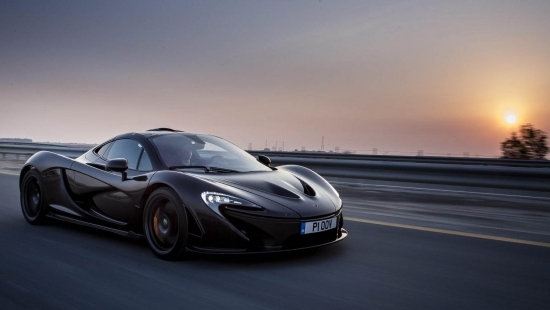 McLaren recently released an aggressive business plan to produce a large number of new vehicles and to promote new power train options to consumers. 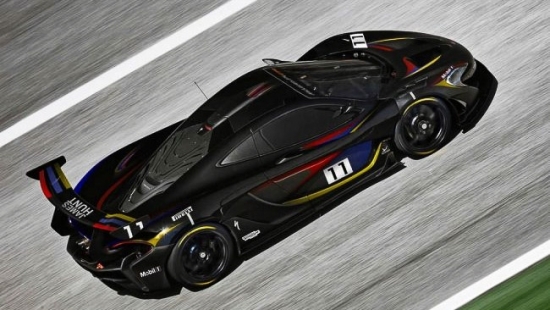 Now they have revealed their newest lineup of cars, the 570S, the 570S GT4 and 570S Sprint. The 570S is the street going version while the GT4 is developed for homologation into competition and the Sprint is an all out unlimited track day beast. The homologated GT4 is built to British Racing Series specs so that they can be used for competition. The GT4 is physically wider than the stock 570S, has competition spec aero that features full adjustability on both front and rear wings. The GT4 is powered by a race prepped version of the 570S’ twin turbo V8. In stock trim, that powerplant pumps out 562hp and 443lb/ft of torque, but official power numbers isn’t provided for the GT4 unit. The Sprint will have all of the modifications that are available on the GT4. The major difference is that it will not have to conform to any racing series rules which means the Sprint will be a no holds barred version of the GT4 essentially. The GT4 will be offered to racing teams for the 2017 season at a price tage of $225,500 USD and pricing for the Sprint will soon follow. The first race of the Formula One season certainly started and ended in disappointment for Fernando Alonso and the folks over at McLaren. During the race, Alonzo and Esteban Gutierrez of the Hass Team came together as they battled for 19th place. 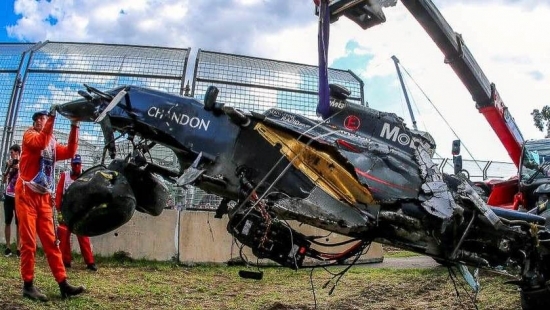 The net result sent Alonzo into a major crash, rolling his McLaren over and completely destroying the vehicle and damaging the engine in the whole ordeal.